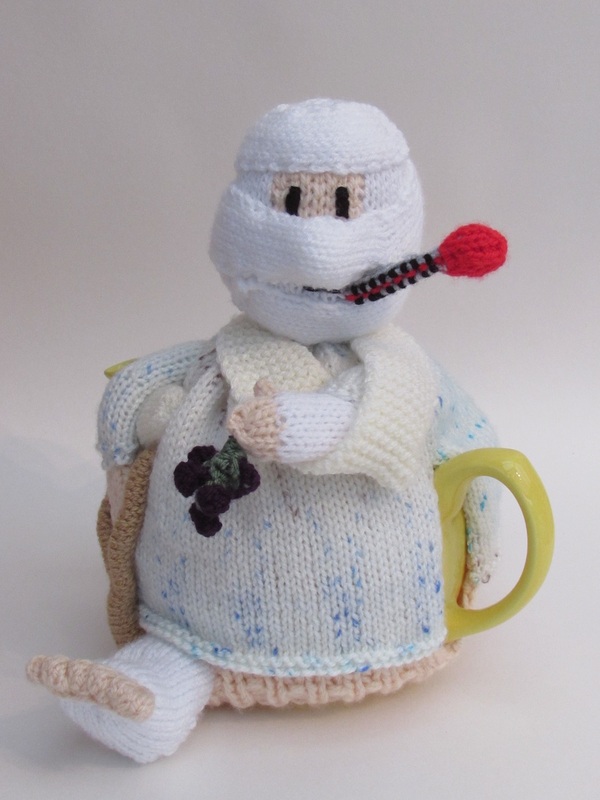 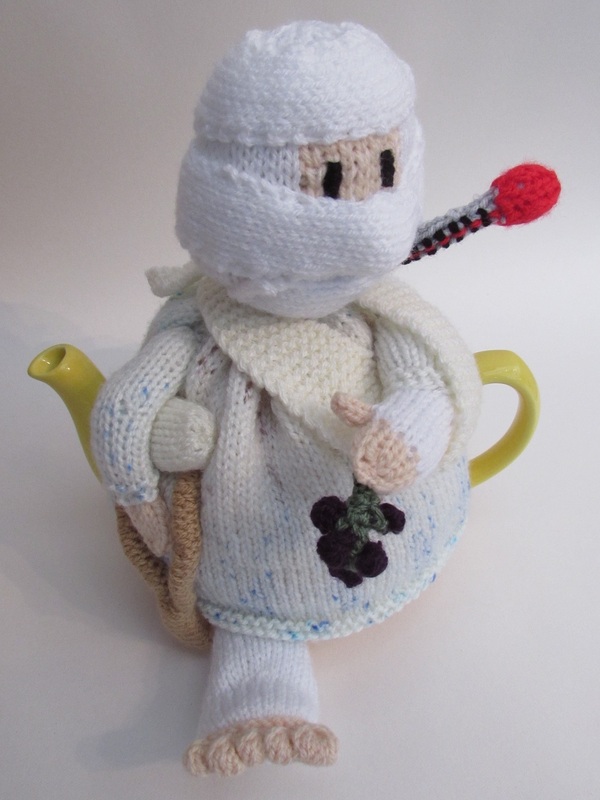 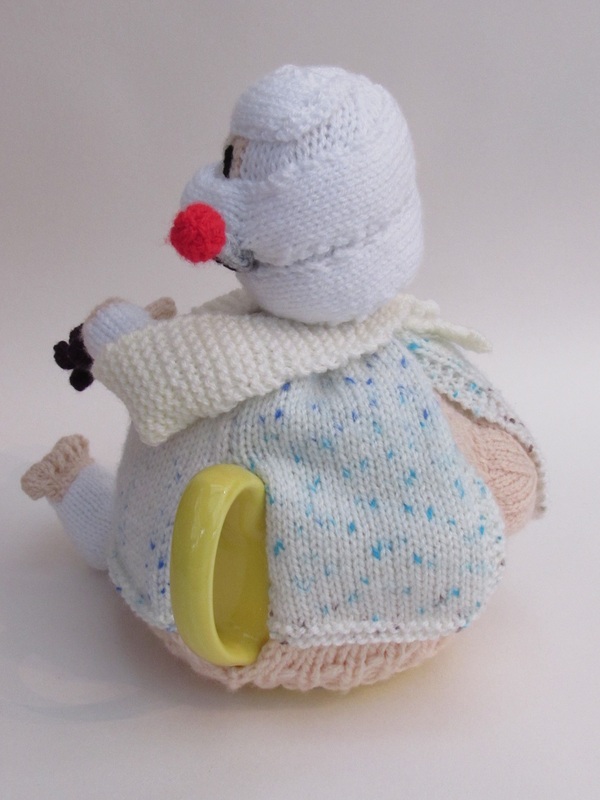 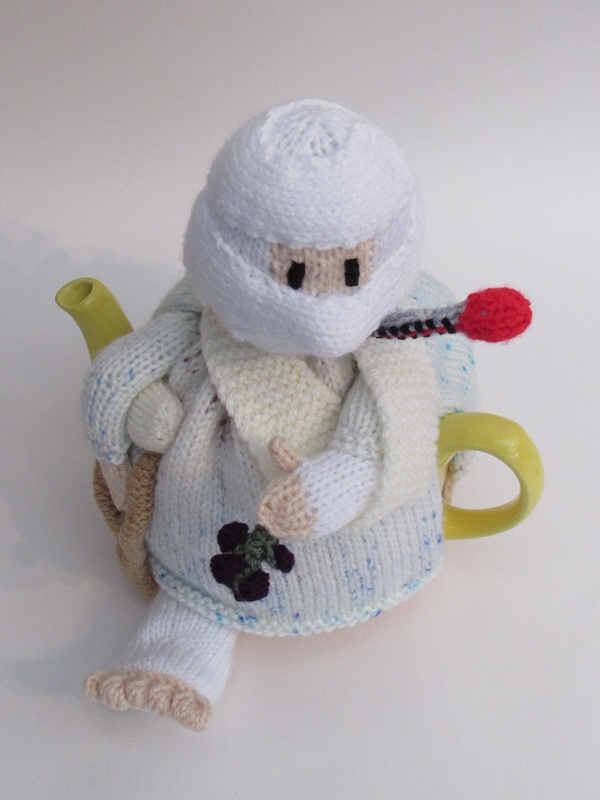 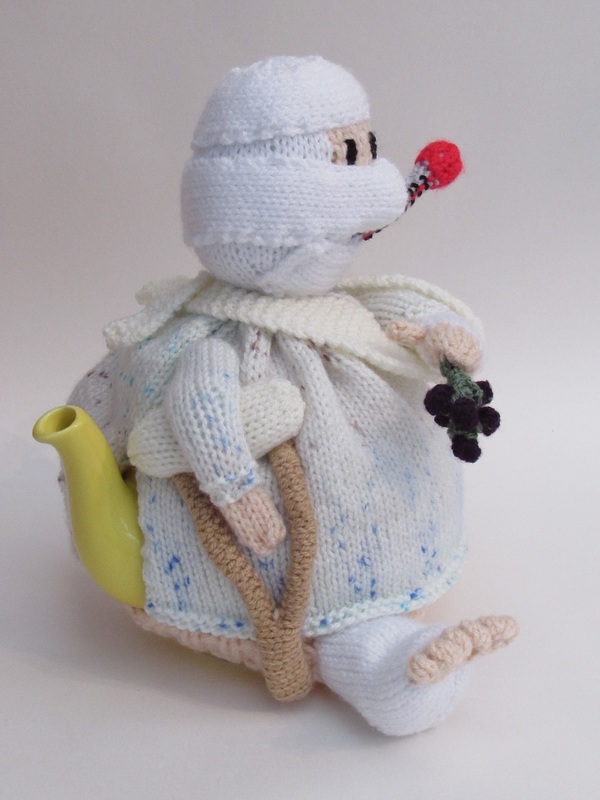 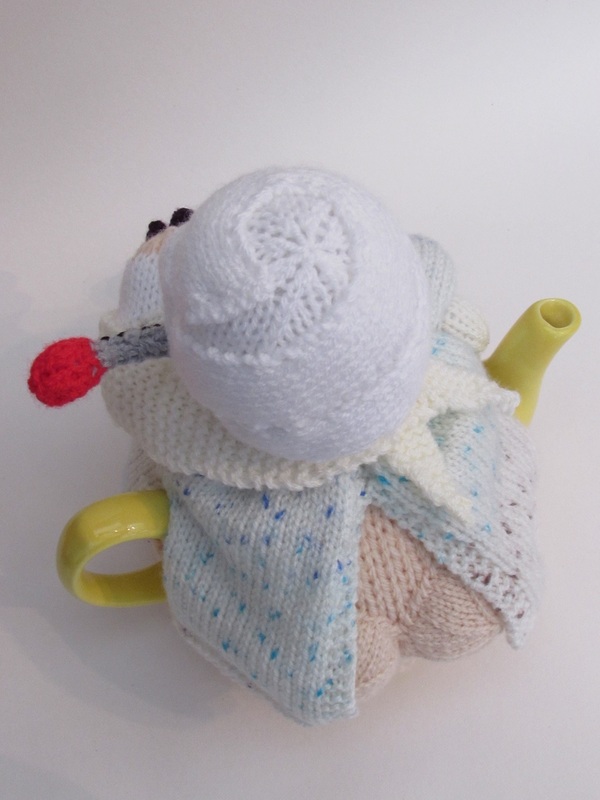 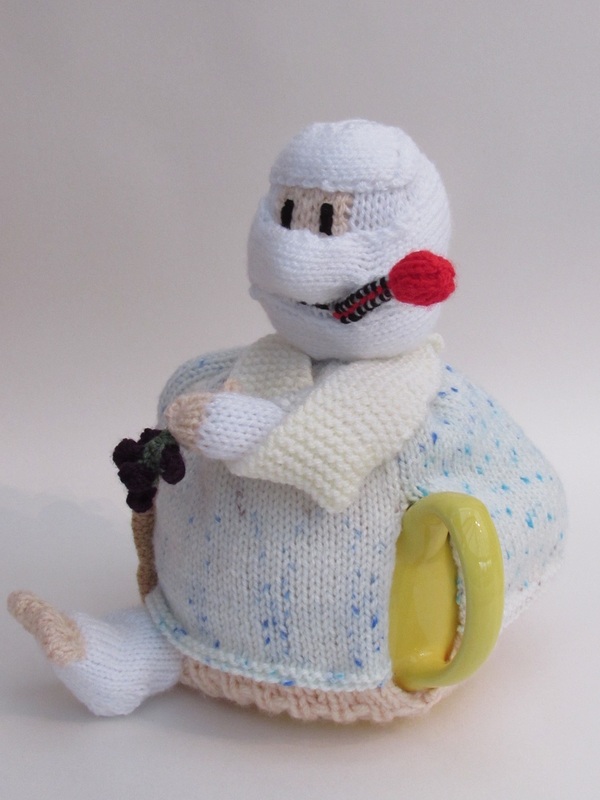 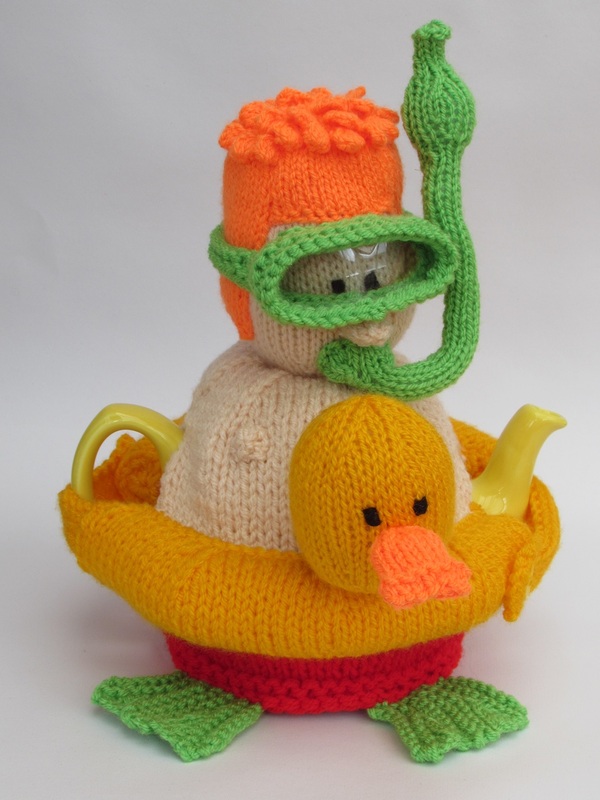 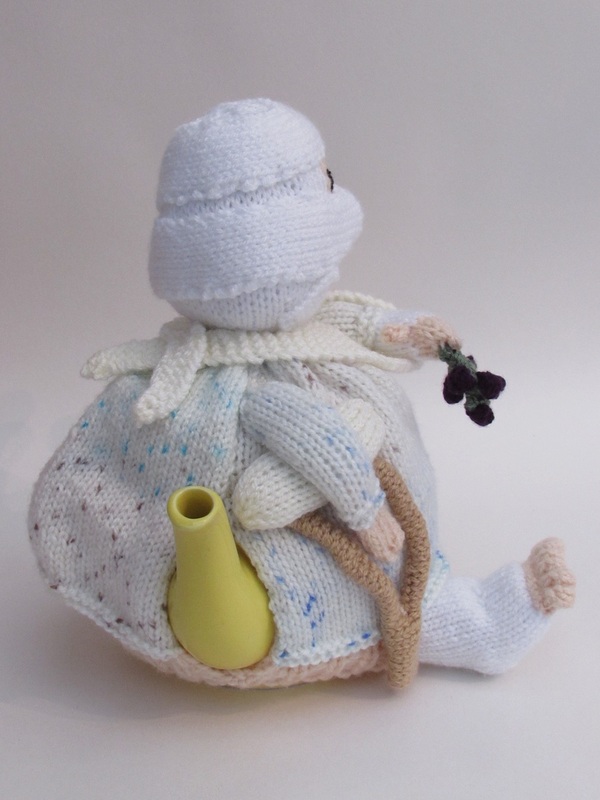 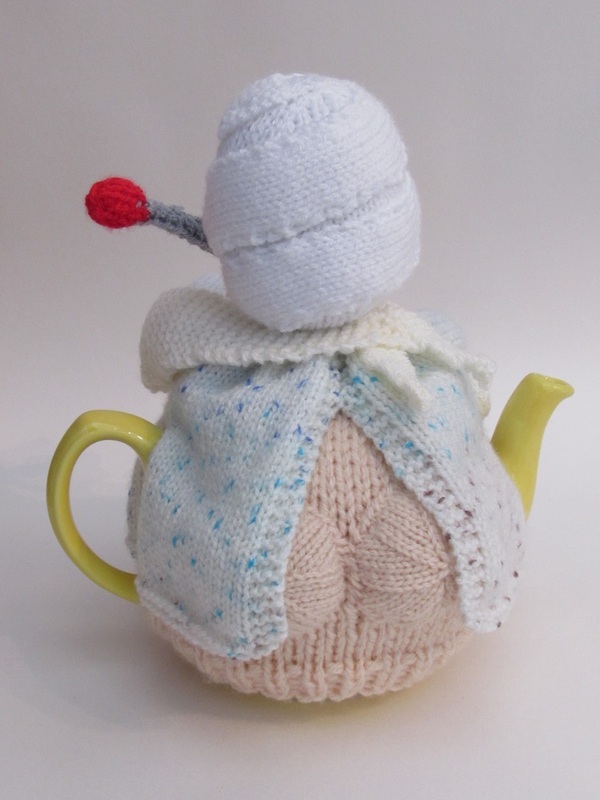 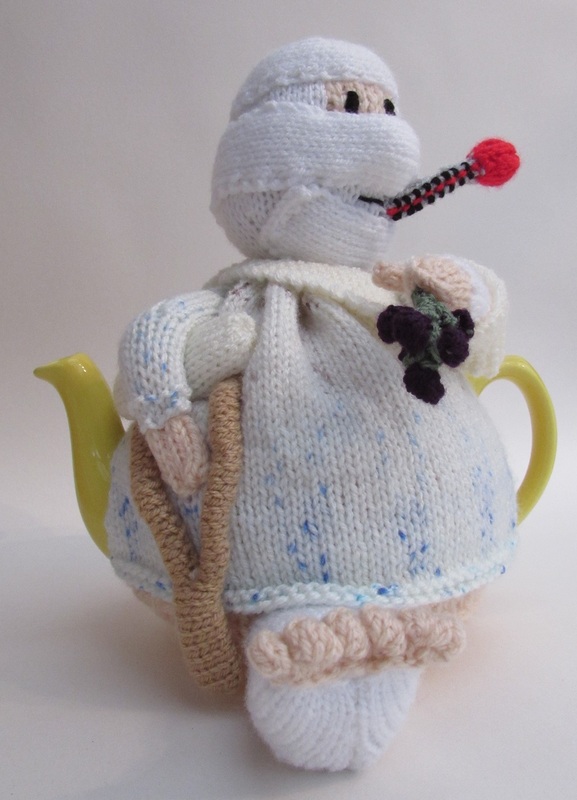 The hospital patient tea cosy is a humorous tea cosy of a person with multiple injuries, broken arm, a leg in cast using a crutch to walk, a bandaged head, a high temperature and he's wearing an operating gown as well, and we all know the problems of NHS hospital gowns. 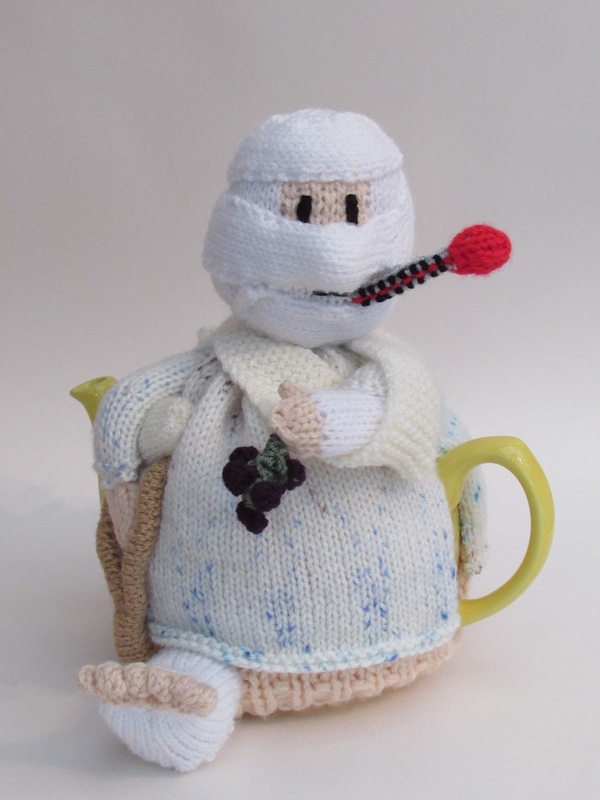 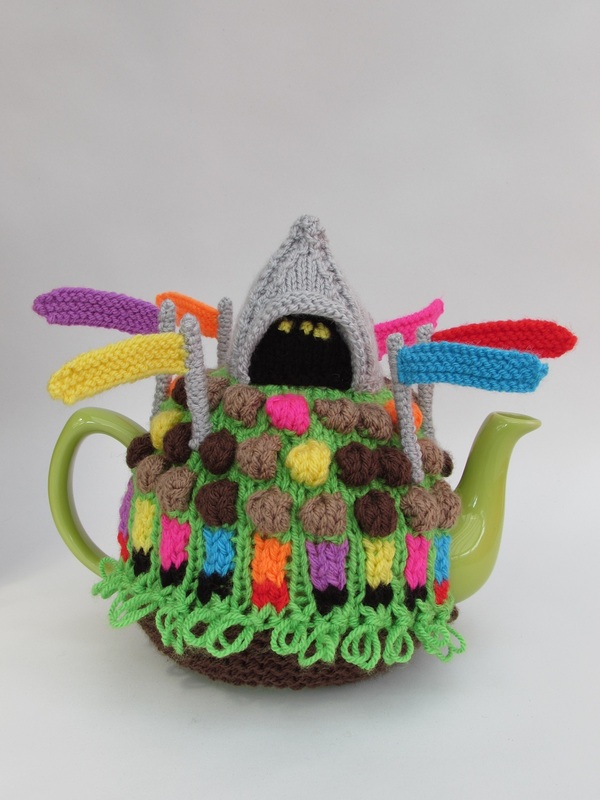 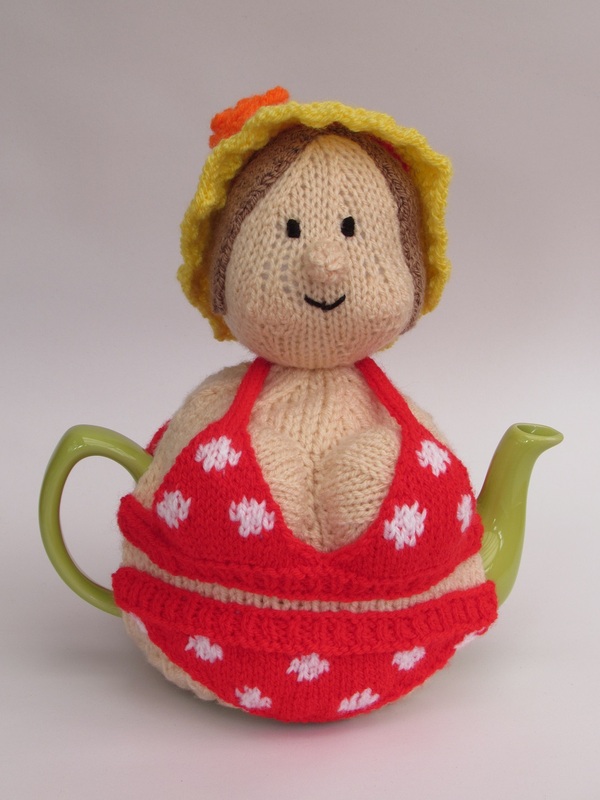 The tea cosy would make a great novelty 'get well soon' gift, or would be a perfect tea cosy for a doctor or someone you know who is accident prone. 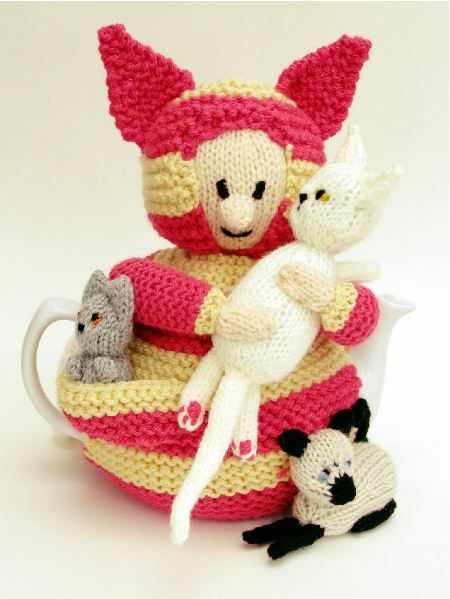 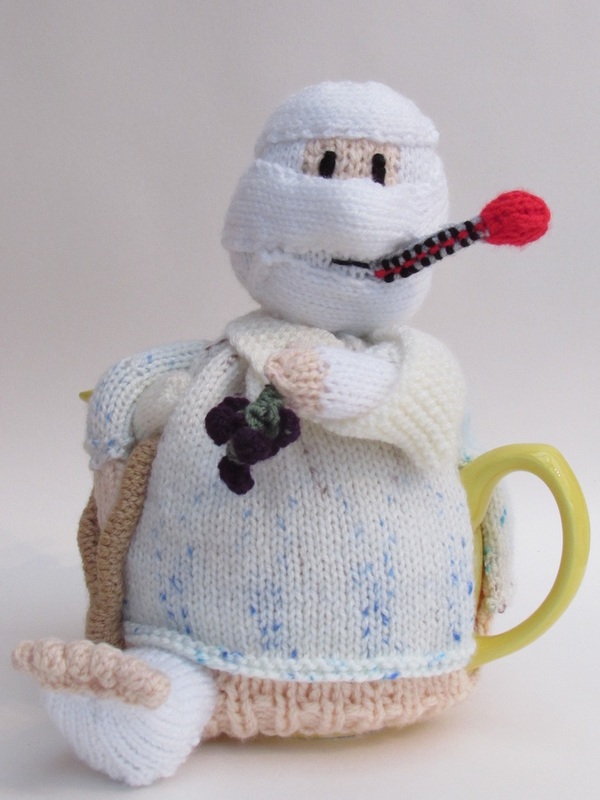 The tea cosy is super cute, I especially love the toes peeping out of the cast of the broken leg, and his dwindling bunch of grapes. 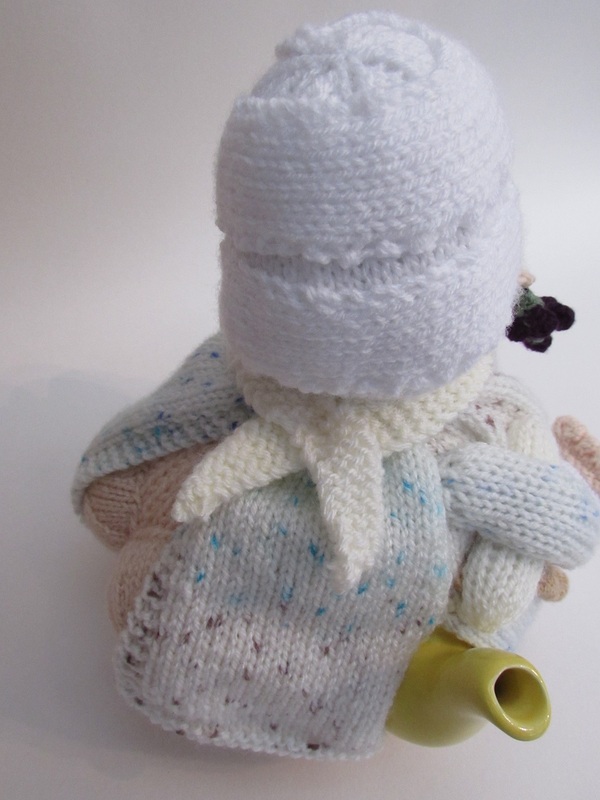 His visitor obviously was peckish on the way to visiting. 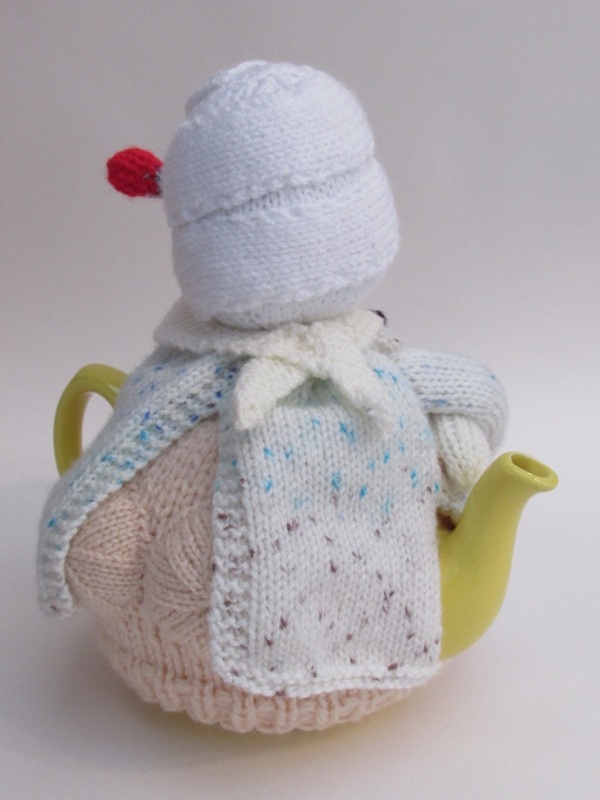 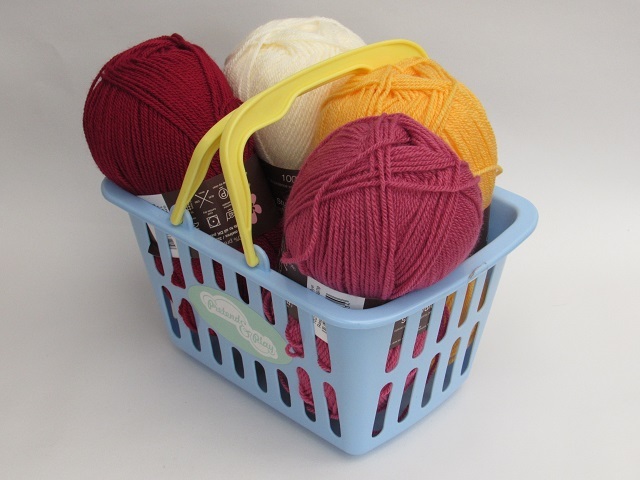 The knitting pattern is a 7 page document, and is fun to knit and quite straightforward.